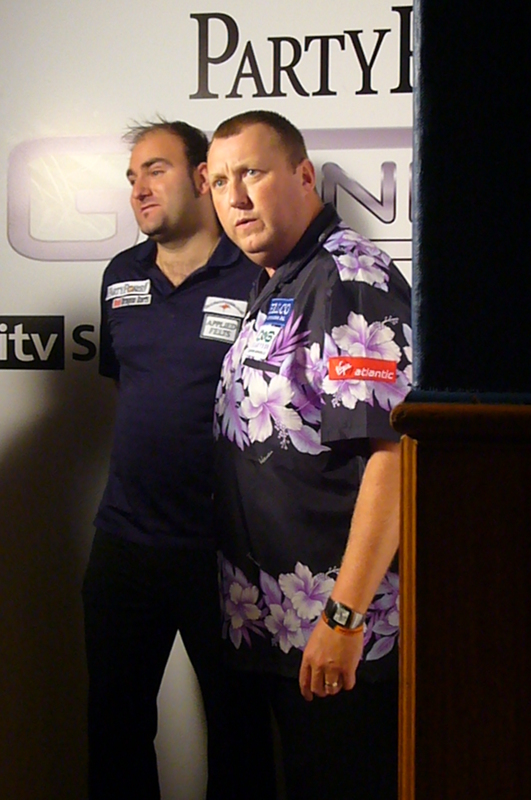 Because of his show talent Wayne Mardle is one of the most popular and well-known players in the PDC. Mardle started to play darts when he was 11 years old. When he was thirteen he won his first tournament. 1993 he joined the BDO and played in 2000 his first BDO World Championship but lost his first match. 2001 was better and he reached the semifinals. In 2003 Mardle switched to the PDC and had till the mid of 2009 a quite successful career, four times he stood in the semifinals of the World Championship. 2006 and 2007 were slightly weaker years but in 2008 he had recovered. In spring 2009 he got ill with mumps and couldn´t finish his Premier League season. Since then he is in a crisis and is slipping down the ranking.